Every day the message to consumers tells us the marketplace for personal care products and home cleaning products is complicated, and that switching to natural or organic products is the way to go. But where do you go to decipher labels; and if the product is not monitored by the government, how can we believe what is really “natural" or “organic"? Following you will find what some of the labels mean in terms of certification. 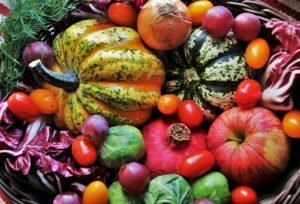 The United States Department of Agriculture has strict production and labeling concerns for things that claim they are organic. Organic products must be produced without using genetic engineering such as GMO (genetically-modified organisms), ionizing radiation—energy emitted from a source is generally referred to as radiation. Examples include heat or light from the sun, microwaves from an oven, and gamma rays from radioactive elements—or sewage sludge. And they have to be produced with certain allowable substances. According to the FDA, “Products labeled natural or organic often contain synthetic chemicals, and even truly natural or organic ingredients are not necessarily risk-free." In 2008, products labeled “organic" or “natural" could and can contain petrochemicals; and those certified as organic can contain as little as 10 percent organic ingredients by weight or volume. Not only that, but federal law allows companies to leave some chemical ingredients off their product labels—they could be considered trade secrets, components of fragrance, and nanomaterials. In 2010, “fragrance" included any number of the industry’s 3,100 stock chemicals, none of which is required to be listed on labels. With the exception of color additives and a few prohibited substances, cosmetics companies may use any ingredient or raw material in their products without government review or approval. The European Union however, has banned more than 1,000 ingredients from use in cosmetics. In other words, its buyer beware. NSF (National Sanitation Foundation) does a certification program that uses laboratory testing and standards development for such things as food, water and consumer products by manufacturing inspection and auditing. When you see this code, the products that use this logo must be at least 70% organic. On their website, you can do a search for manufacturers of products. EWG (The Environmental Working Group) has a website that explains how the EWG tracks chemical safety in personal care products. It proposes strict guidelines and manufacturing practices. On the day we visited the website there was a notice about “Dangerous Levels of Mercury Found in Skin Creams Purchased on Amazon, eBay" and, “In New Tests, Weed Killer Found in All Kids’ Cereals Sampled". This is a U.S. government agency under the Department of Agriculture and if the product is listed as organic it is between 95-100% organic and held to strict USDA standards. They do unannounced compliance inspections and collect samples for analyzing as well as suspending or revoking certifications. Most GMOs have been engineered to withstand the direct application of herbicide or produce an insecticide. Are they safe? Because there are no credible, independent, long-term feeding studies, the safety of GMOs is unknown. Increasingly, citizens are taking matters into their own hands. 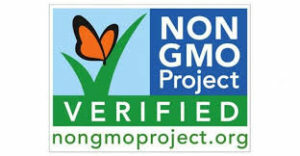 GMOs are not required to be labeled in the U.S. and Canada. Amino acids, alcohol, aspartame, ascorbic acid, sodium ascorbate, citric acid, sodium citrate, ethanol, flavorings (“natural" and “artificial"), high-fructose corn syrup, hydrolyzed vegetable protein, lactic acid, maltodextrins, molasses, monosodium glutamate (MSG), sucrose, textured vegetable protein (TVP), xanthan gum, vitamins, vinegar, and yeast products. These ideas are hard to define but basically something plant-derived means it comes from a plant without petrochemicals (petrochemicals are a set of very specific chemical compounds, which can be made from oil, natural gas, coal or other sources.) With plant-based products, anything can be added in. Minerals are naturally-occurring like baking soda, limestone and feldspar. And of course, animal-based include the meat and fat of animals like cattle, sheep or horses. Anything that is synthetic can be made partly or purely with petroleum or natural gas such as plastics. According to the CDC (Centers for Disease Control), “Research has found that adult women have higher levels of urinary metabolites than men because phthalates that are used in soaps, body washes, shampoos, cosmetics, and similar personal care products." Phthalates are a group of chemicals used to make plastics more flexible and harder to break. Some phthalates are used as solvents, dissolving agents, and they are used in hundreds of products, anything with plastic—which is pretty much everywhere: vinyl flooring, adhesives, detergents, lubricating oils, automobiles parts, clothes and personal-care products such as shampoo, hair spray, and nail polishes. Human health effects from exposure to low levels of phthalates are unknown. But it is believed that certain types of phthalates have affected the reproductive system of laboratory animals. Gabriel, Julie. The Green Beauty Guide. Deerfield Beach, FL: Health Communications, 2008. Book. Gordon, Jessica. MyMagazine.com. Cincinnati, OH, October 2018. Pgs. 28-29.